Other than birthdays, one of the happy times happening within a year where I say wishes is during Christmas, I suppose this is everyone’s most awaited time of the year too. More than wishing we bring out the best for this season, we practically turn our homes into a holiday entertaining atmosphere. We buy great Christmas stuff to deck our halls, prepare the sumptuous of all dinners, and the kids most loved part - the giving and the exchanging of gifts. Well, I also love it too. Speaking of wishes, I too have a long list of Christmas wishes. We burned-up our Christmas candle last year, I recycled it already making it into thinner ones, and it doesn’t look good for Christmas anymore, so I wish to get a new set of Christmas candles. 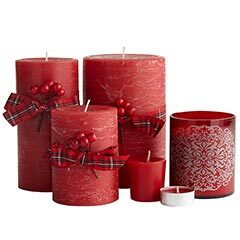 Our Christmas color this year is red so this Apple Cinnamon Candles valued from $6 - $15, is just perfect. 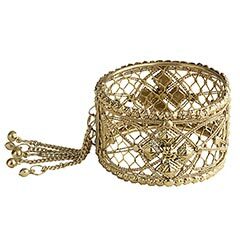 My godchildren will be knocking on my doors days before Christmas, I should be armed with gifts, and not so expensive ones dearies, so maybe these fancy mini sock coin purses will do, valued at $3, and did I mention they’re all girls? 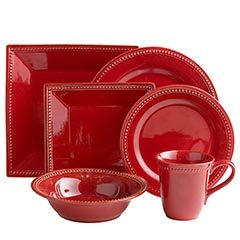 I wish also to complete my Christmas dinner wares, this Spice Route Dinnerware - Paprika is awesome. I wish to have this for myself on Christmas too, Gold Clasp Bracelet with Chain... I find it classy and elegant. And the best part it’s priced half the original now at $6.98. Did you know that you can have all these and more at Pier 1 Imports? If you’re looking for online stores that are offers the best value for your hard earned money, then Pier 1 is the site you should check onto. They offer the best stuff one could ever wish for this Christmas at the price you truly can afford. But how can someone just wished for herself, Christmas is a season of giving. You can help make less fortunate children happy by supporting Toys for Tots by dropping your unwrapped toys at any Pier 1 Imports outlet around US or you can make cash donations at their register until December 24th. But wait, helping does not end there, like Pier 1 Imports on Facebook, and they will donate $1 per fan to Toys for Tots, such a small gesture which will go a long way. Pier 1 is packed with the latest, get fresh updates and know the latest happenings by following them on Twitter or simply subscribe to their newsletter. So there, make your holiday entertaining fun and memorable this Christmas, Visit Pier 1 Imports today and make your wishes come true. Go go go for it ate, dami mo kaya kita hehehe..
mau paka te kay pinalabi ka ni V2...ehehhee...ako butlog...lol! I am refreshed now completely after seeing the wish list.I am specially in favour of candles and dinnerwares.They are really looking very nice.